Above: Superhot VR, currently only available on Oculus Rift. In a lengthy Reddit post last night, DayZ creator and Out of Ammo developer Dean Hall sounded off on the “terrible assumptions” he sees VR enthusiasts making about subsidized development deals and VR development in general. Virtual reality is not yet profitable, he says, and developers should have the right to take any help they can get. VR development deals have been a point of contention in VR communities, particularly the increasingly acrimonious platform war between HTC Vive and Oculus Rift owners on Reddit. The issue came to a head back in June as some game developers began to discuss development funding deals they’d made with Oculus in exchange for timed Oculus Rift exclusivity. 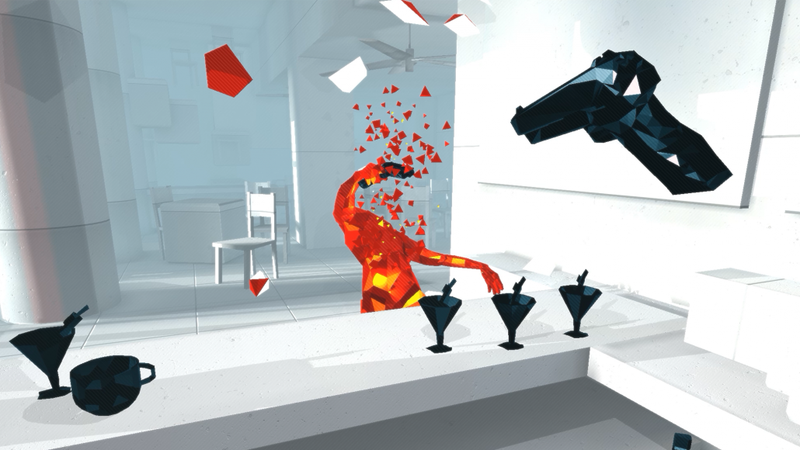 Some Vive owners are understandably bummed out by the fact that new indie VR games like Superhot VR are only available on Oculus for a period of time. It doesn’t help that Oculus is owned by Facebook, a widely reviled brand in many gaming circles. There’s more in the full post, which is worth a read.